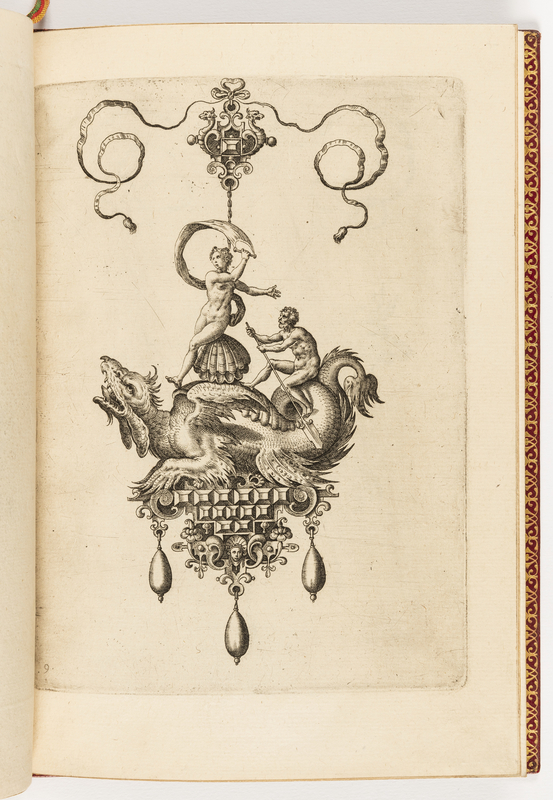 This and 19 other objects are a part of a set whose first object is Album, Monilium Bullarum Inauriumque Artificiocissimae Icones, Ioannis Collaert Opus Postremum (Designs for Necklaces, Pendants and Earrings of the Highest Skill, the Final Work by Joannis Collaert). This is a Print. It was engraved by Adriaen Collaert and published by Philips Galle. It is dated 1582 and we acquired it in 1921. Its medium is engraving on paper, laid and gilded. It is a part of the Drawings, Prints, and Graphic Design department. This object was catalogued by Rebekah Pollock. It is credited Purchased for the Museum by the Advisory Council.